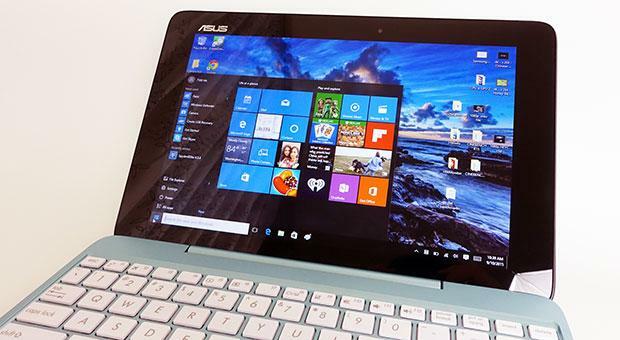 Affordable 2-in-1 mini laptops are a thing these days and Asus offers a few interesting such devices, ranging from 10 to 13 inchers. 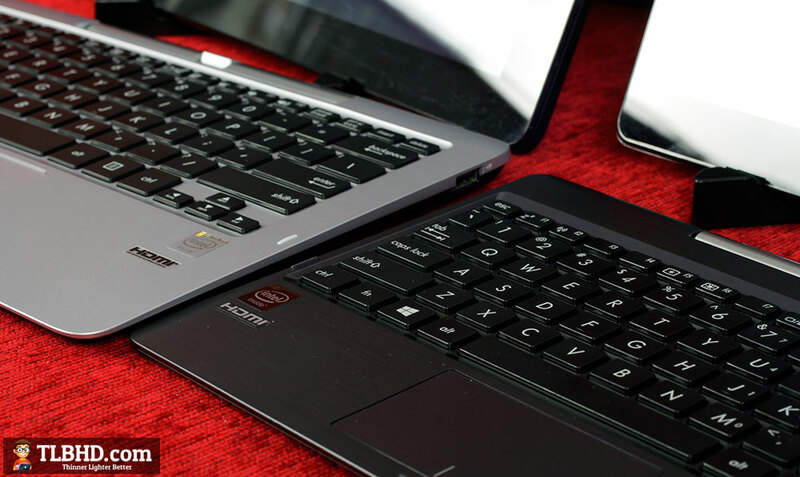 In this post we’re going to have a quick look at their most compact machines in this category, the 10 inch Transformer Book T100TAM and the 11.6 inch T200TA. The T100TAM is the updated version of the popular T100TA, with a metal made heavier body, faster hardware and an improved screen. I’ve reviewed it in depth over here. The T200TA, which I also tested in depth here on the site, shares the hardware specs with the 10 inch model, but is larger and packs a bigger battery. 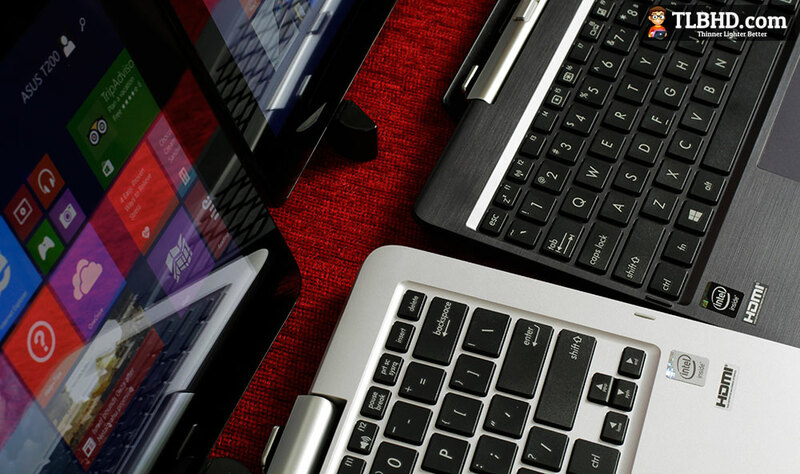 Both start at $399 and both are built around the same form-factor: stand-alone Windows tablets with touchscreens and matching docking stations which enhance the everyday experience with a keyboard, trackpad, even more ports and extra storage space. But which is the better pick in the end? Well, stick with me for the next few minutes and you’ll find out, either from the video comparison below, or from the rest of this article. So what sets these two Transformer Books apart? For starters, there’s the size. Since the T100 has a smaller screen than the T200, it was expected to have a smaller footprint as well. But beside this, the 11.6 inch tablet also has a larger bezel around the display, which makes it rather bulky even for a device in its class. It’s also fairly heavy, weighing about 1.7 pounds, while this particular version of the T100 weighs 1.33 pounds. And that’s because the T100TAM, the one we have here, has a metallic case, its plastic version is even lighter (1.25 lbs). The T200 is entirely dressed in plastic, with the exact same rubbery and textured finishing as the original T100. 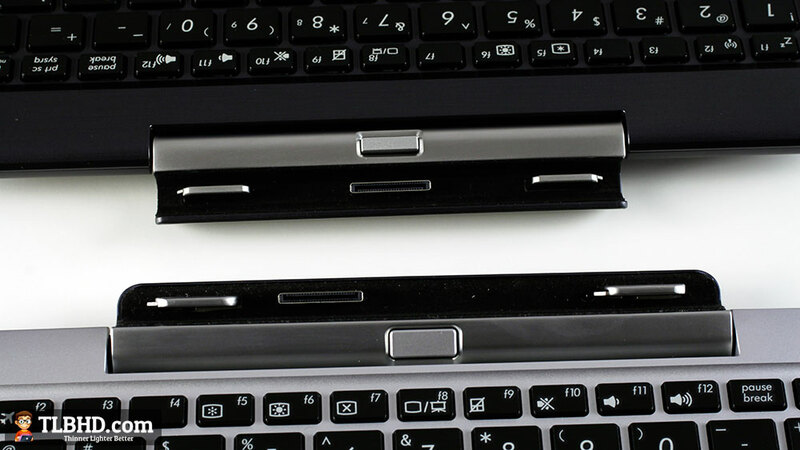 The two pack the same ports on the sides (micro-USB, micro-HDMI, microSD card-reader, headphone jack), but on the T100 these are placed on right edge, while on the T200 are all lined on the left. 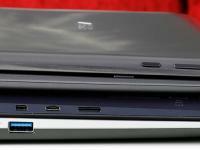 And that makes for a less-cluttered right side on the T200, which is ideal for most users (righties). The docks are made of plastic. The 10 inch model only has enough room for a tiny trackpad, a rather cramped miniaturized keyboard, one USB 3.0 slot and a HDD inside. 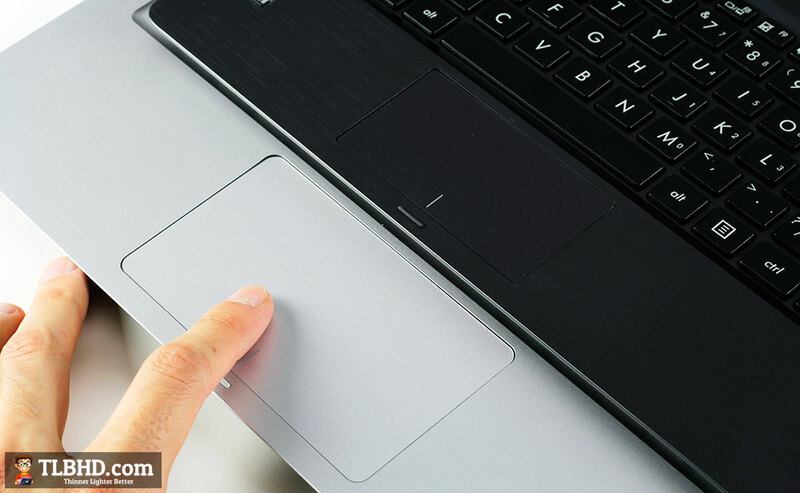 The 11.6 inch model is much roomier, with a larger trackpad and arm-rest, a full-size keyboard, two USB ports and a LAN connector, plus the hard-drive, which is a lot easier to access on it, unlike on the smaller version that requires you to take apart the entire back panel to get to the drive. Neither docks packs a battery inside. 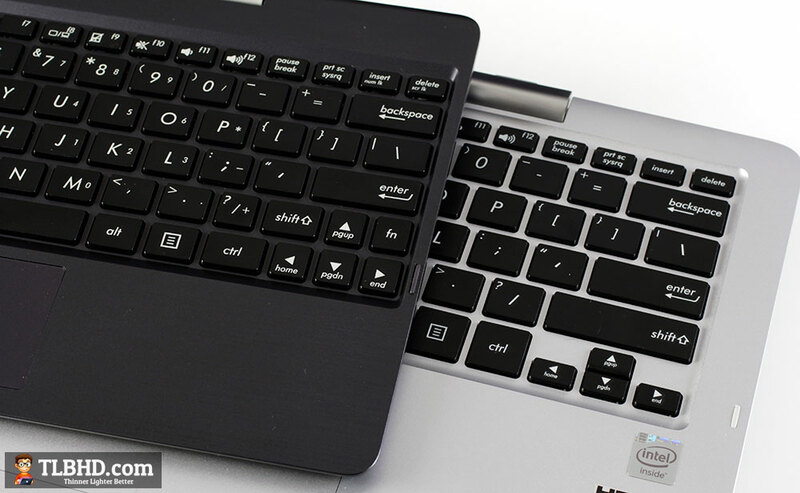 As a result, the T200 does offer a superior laptop experience and is much more appropriate for heavy typing. The T100 remains the more compact options though, then 2.5 pounds mini-machine you can easily through in your back-pack when traveling, while the 11.6 inch model weighs 3.7 pounds with the dock attached, which is a lot even for a 13 incher. 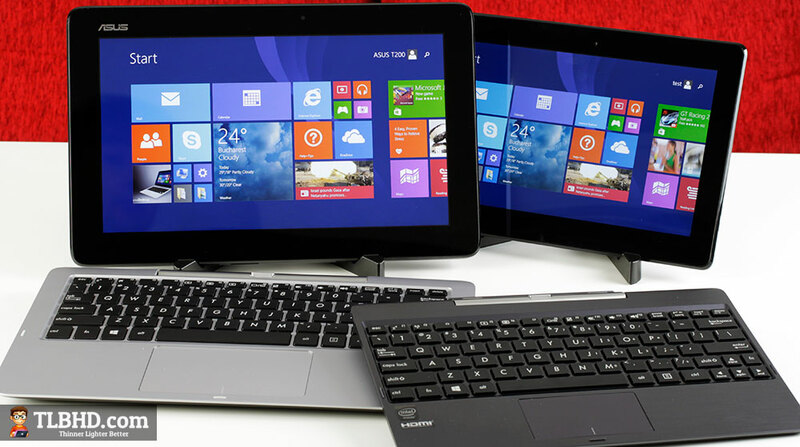 These aside, both devices offer touchscreens with 1366 x 768 px resolution and decent IPS panels. The screen on the T200 is marginally brighter and paints more accurate colors, according to my tools, but the quality-difference between the two is really small. The HD resolution is rather low by today’s standards, especially on the 11.6 inch Transformer Book, but let’s not forget these are affordable devices and judge them accordingly. In which case, both offer good-enough displays. Hardware wise, Intel Atom Z3775 processors motorize the two Transformer Books present here, low-power efficient platforms capable of handling well everyday activities and multimedia content. These are paired with SSDs and 2 GB of memory, and both units can also take a 2.5″ storage drive in the dock (some versions come with presintalled HDDs). The Hynix made SSDs are rather slow, but still help these machines boot up quickly and resume from sleep almost instantaneously. And the overall experience is enjoyable, as long as you don’t over push them, as these are not made for heavy use (video/photo-editing, programming software, games) although they can handle abuse to some extent,if you don’t mind occasional sluggishness. But while the Intel hardware is not a power-horse, it is highly efficient and fan-less, which means that these devices run cool and quiet. In fact, the only thing you’ll hear when using these tablets are the spinning hard-drives inside the dock, if you go for those options. The 10 inch model’s metallic back does get somewhat warmer than the T200’s and so do the internal components, but temperatures are never going to be something to worry about. I should also mention that both these devices feature 1.2 Mpx webcams above the screen and the T200 also packs a 5 MPx camera on the back, which delivers rather mediocre pics, but… who cares anyway? The Wi-Fi performance and the speakers do matter more though. Both these Transformer Books pack Broadcom Wireless N chips and deliver constant and speedy performance, with no signal drops. Their range is rather limited though, so don’t get too far away from your router or you’ll quickly lose speed. As for the speakers, there’s a pair of those on each device, placed on their backs, and both deliver decent quality audio. However, while the ones on the T200TA are loud, the ones on the T100TAM can barely cover a noisier room even at max volume. 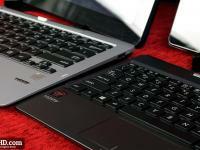 All these aside, the two Asus slates can go for quite a long time on a charge. The T100 packs a 31 Wh battery and that’s enough for about 7-8 hours of daily use, while the T200 gets a 37 Wh battery and can go for 8+ hours in similar conditions. Keep in mind that my T200TA review unit came with a HDD inside the dock, while the T200TAM did not, which means that the 11.6 inch model can go for longer if you opt for the version without the storage-solution. There is however one important aspect to add here. The T100 charges via the micro-USB slot on the tablet and is bundled with a small-capacity brick (10W) and a short cable, that’s why charging it takes many hours (at least 3) and using the device while charging can be problematic (the port is placed on the right-side of the tablet). The T200 has a proprietary charging pin, a larger 33Wh brick and a long-enough cable, so it charges faster (under 2 hours) and can be easily used during this time. On top of these, if by any chance you’re not charging the T100TAM with the included USB cable, it might only trickle charge or not even charge at all (especially when performing more intense tasks, like watching movies or running games). So make sure you keep that cable close. To wrap up this comparison, both these Transformer Books are distinct faces of the same coin. The T100 is more compact and lighter, plus somewhat cheaper as well, as its 64 GB configuration has a list price of $399, but can be found for as low as $370 these days for the older plastic made T100TA version. 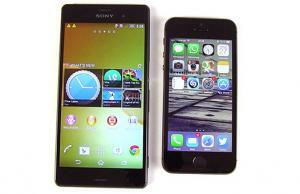 The newer model, with the metallic shell and improved screen, is going to cost a bit more. The T200 is clearly bulkier and heavier. 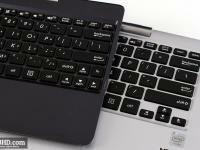 In fact, having the slate and the dock together leads to a 3.7 pounds mini-laptop, which is hefty for an 11 incher. Around $400 dollars will get you the basic version of this Transformer Book, with 32 GB of storage space and the included dock, and that’s a device with a far more comfortable keyboard and dock, more ports and larger battery. But are these worth somewhat sacrificing portability? I’d say yes, but that’s in the end up to you. 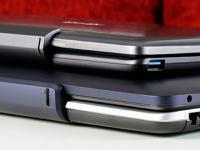 my list of convertible laptops and hybrids. 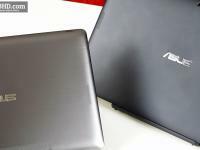 The comments section is open below, so if you have any questions or anything to add about these two Transformer Books compared here or other similar devices, feel free to do so, I’ll be around to reply if needed. I’m a french user (and reader)! 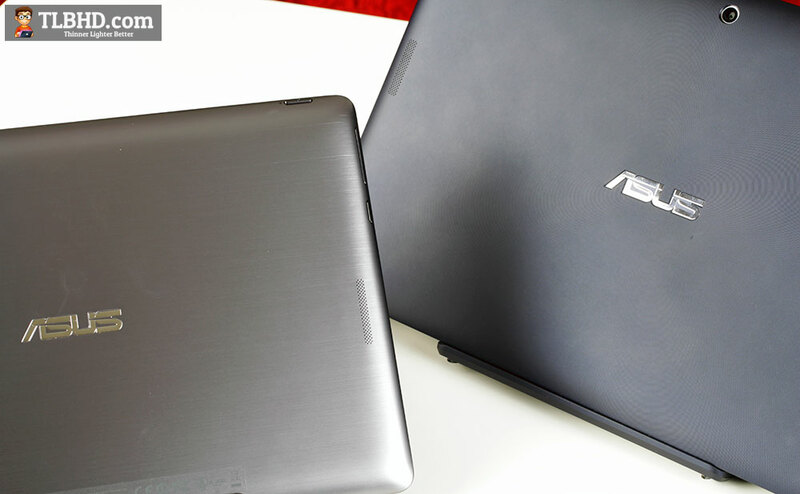 Have you considered making a test and/or a comparison between the Asus T100 familly and Acer Switch 10? 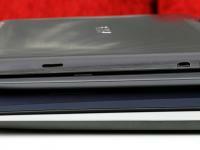 The Acer Swtich 10 is difficult to find over here, otherwise I’d definitely put up a comparison between the two lines. I really wanted a t200 over a t100, but the weight is a no-go. How could the tf200 be so much heavier? And not even have an extra battery? Makes no sense. I just got the t100 and the weight is critical for me–although I will wonder if the x200ce would have been better–although the poor battery life with is another problem. Every one of these cheaper computers have considerable drawbacks! 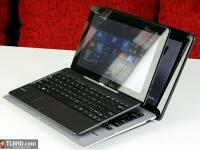 I am considering miix2 10 and T200. Haven’t tested the miix2 10, so can’t say much about it. Try to dig some detailed reviews and then compare the pros and cons yourself. Thanks for the review. 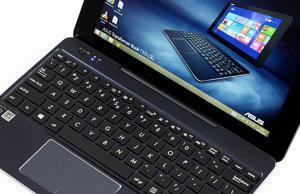 I am happily using the Asus Transformer T100ta, and if given the choice I would buy it again. I prefer the smaller size, easy to carry in my work bag. 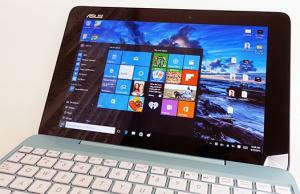 Your information that Microsoft Office is not fully available as on the Asus T100ta is a negative; I use One note and Word daily. 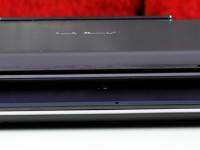 The only real improvement would be to allow the dock to open to with the flexibility as the Lenovo Yoga. Hi Adam. Glad you like your machine. I’m not sure where you’ve seen me saying there’s no Office on the T100TA. Thanks for the great review. You mentioned that the cover on the T100TAM would need to be removed to access the hard drive. Does that mean it is possible to expand the hard drive? If that is true does it support a second ssd or just hdd? 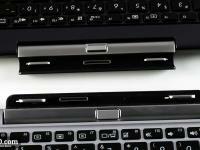 SSD and HDD, as long as you stick to the 2.5″ 7 mm format. There’s only room for a single drive, so you can onyl replace the HDD with something else. Fantastic review, thanks! I’m considering bying a T100 TAM but I must be sure it has GPS inside, can you confirm that? I see on retailers different subversion of T100 Tam and I’m confused. I can’t find anywhere some specs that says it has gps, why? 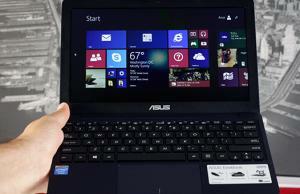 Eventually it would be useful a list of all Asus Transformer with or without GPS; can you write it?